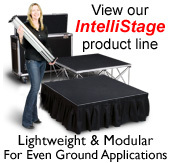 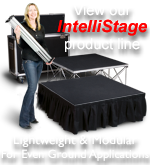 The All Terrain 5 Step Universal Stair Assembly can be adjusted to work on stages that measure between 100cm and 120cm high. 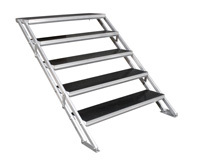 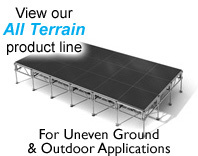 We offer Stair Assemblies in either our Weather Resistant Black finish or our Weather Proof Aluminum. 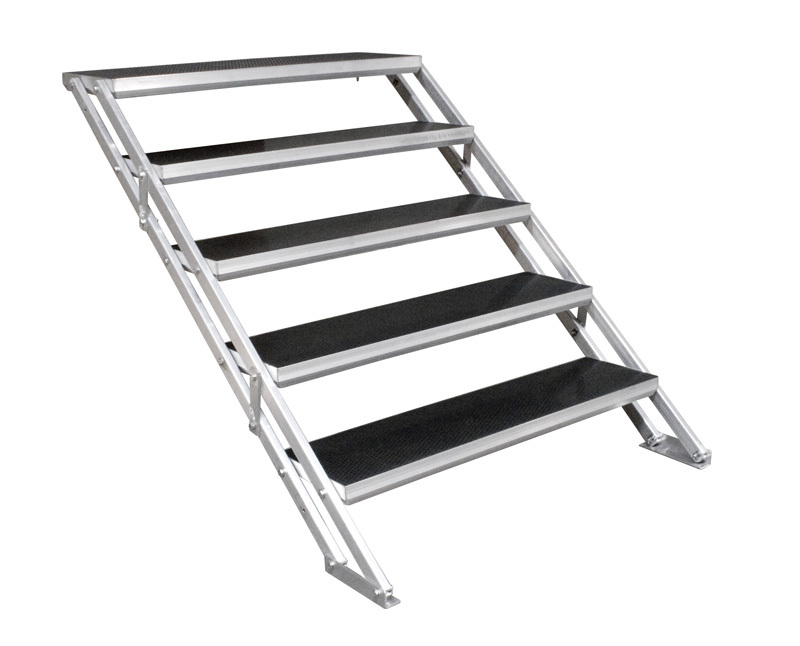 Our Weather Proof Aluminum stair assemblies are composed entirely of Aluminum and are impervious to all weather conditions.